The earth is one giant village and is home to people of various cultures. Globalization has not only encompassed it into one, but also brought it closer in ways that has made life for everyone easier than anyone could even imagine. Every aspect of life needs one to communicate with people that speak languages that are not the same as ours. One cannot live in a nutshell and ignore the necessity of being able to communities with people from other nations. Being able to reach out to people of various dialects is not just merely an added advantage but has become a necessity especially when it comes to businesses that deal with foreign consumers on a daily basis. This of course takes eCommerce right up to the charts as the traffic for such business may come from any one across the world as the web gives such business's a world platform. Often people from other countries tend to face problems when it comes to reading about products online. The reviews may be in the language of the country of origin but what happens when people from other countries want to read up too? Well, they don't have any other option but to let it be as no one would go through the problem of sitting down and translating the entire thing, the world wide web is supposed to be easy and not troublesome. If a website offers the service of translation their consumer base will surely expand from just national to international too. 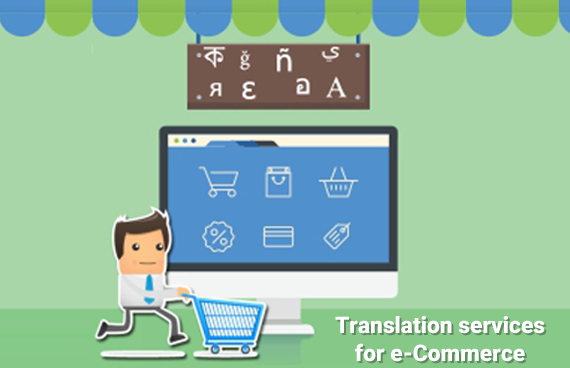 There are various ways that one can bridge the language gaps, it can be overcome in such a way that it doesn't affect the sales in any way just by adding in the services of translation. Just this service could bring in consumer traffic to your site like never before. 1. Before starting to make up a back end code for various languages, the company must do an extensive study of who are the people that bring most traffic to their sites. Keeping this in mind the translation could be available in those few languages. 2. Have content that is valid for people across nationalities. What may be acceptable in one area may not be acceptable in another. 3.There is no need to have the same languages of the various regions that may follow different grammar, people often think whether to follow American English or British English, the main aim is for the message to be understood and both can be sent out in either and the reader will surely understand. A good service is what brings people back to any store; just like that good service is what brings back customers to websites too. Hence it is very important that sites open up doors for everyone from all nationalities so it helps them grow well and make profits and at the same time customers enjoy a sense of satisfaction returning for more.